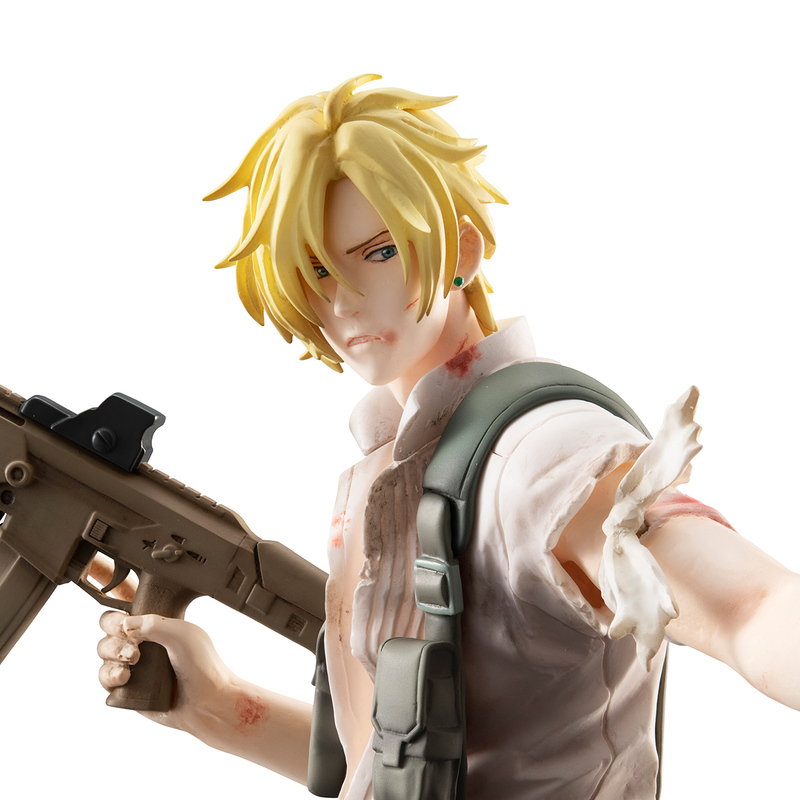 There's limited quantity of Ash Lynx Banana Fish GEM Series Figure available at this price. Order now before they're gone! 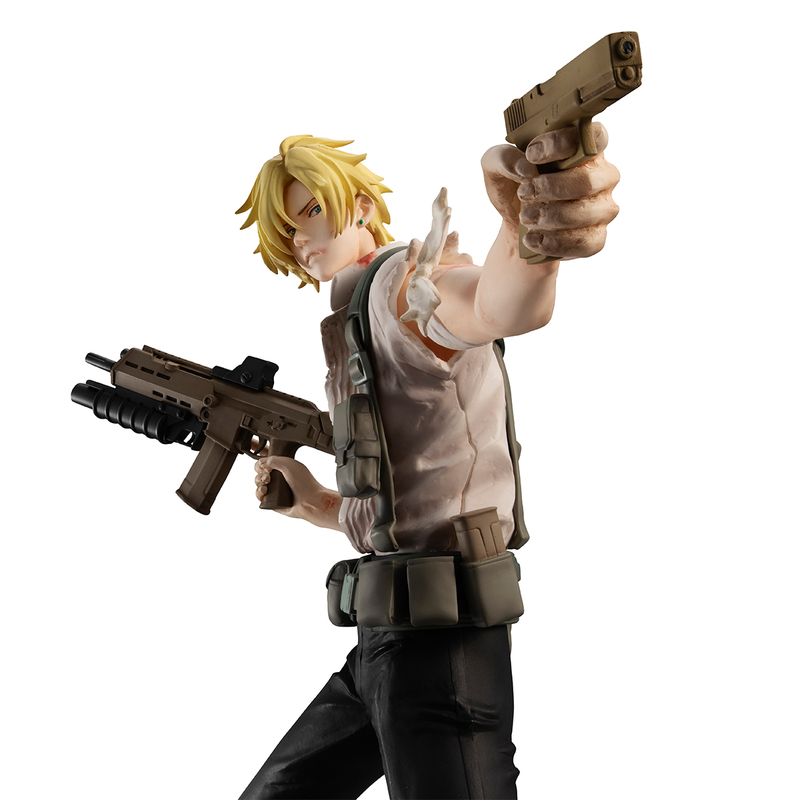 "Take another step and I'll shoot." 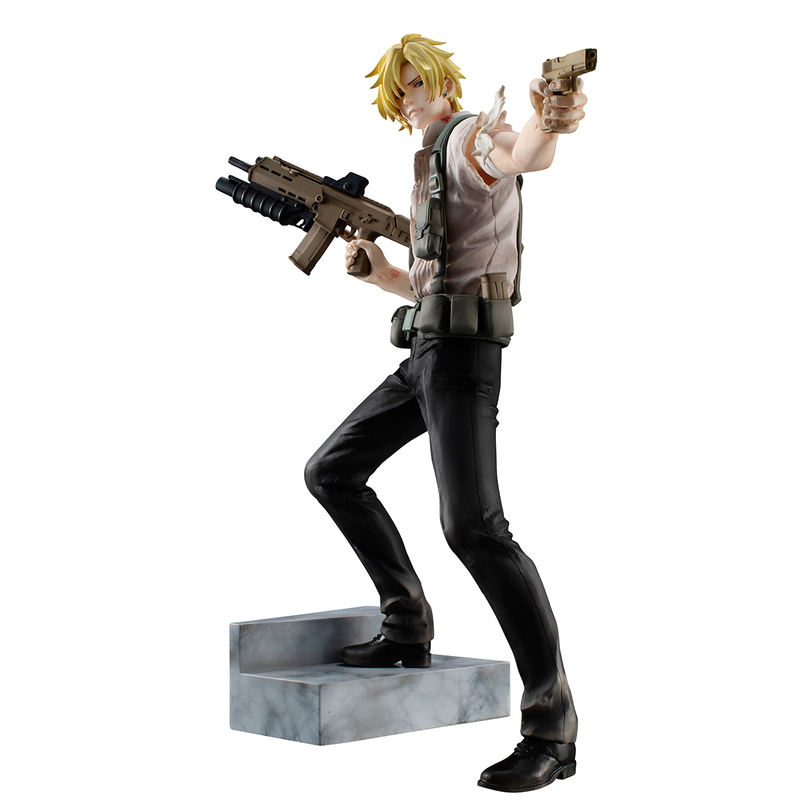 Ash Lynx from the anime series "Banana Fish" is brought to life in this GEM series figure by Megahouse. 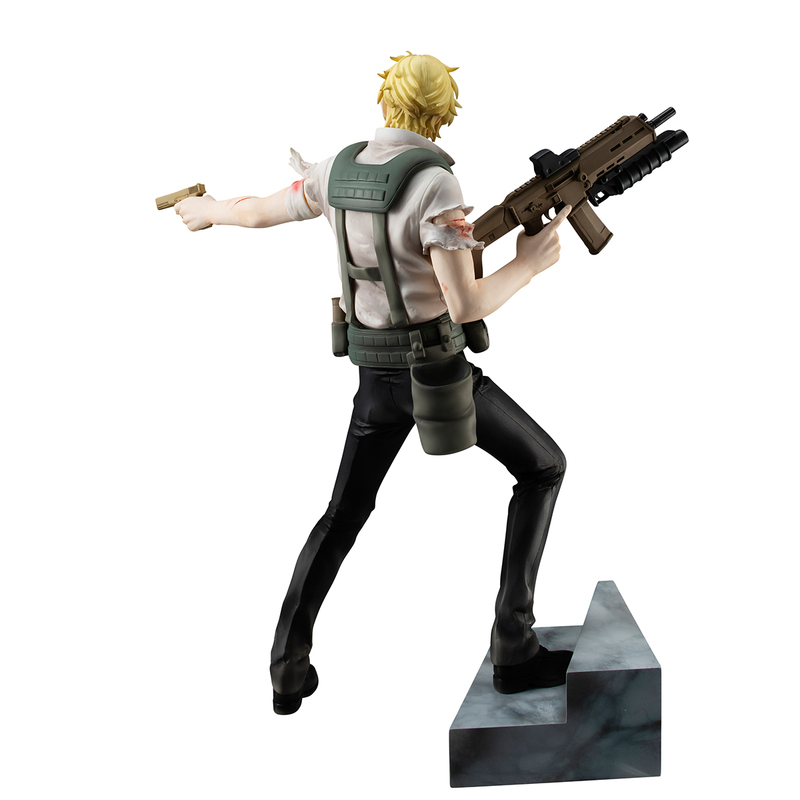 With one foot on a marble stone step, a machine gun at his side, and a pistol aimed and ready to fire completes this action packed figure from head to toe. 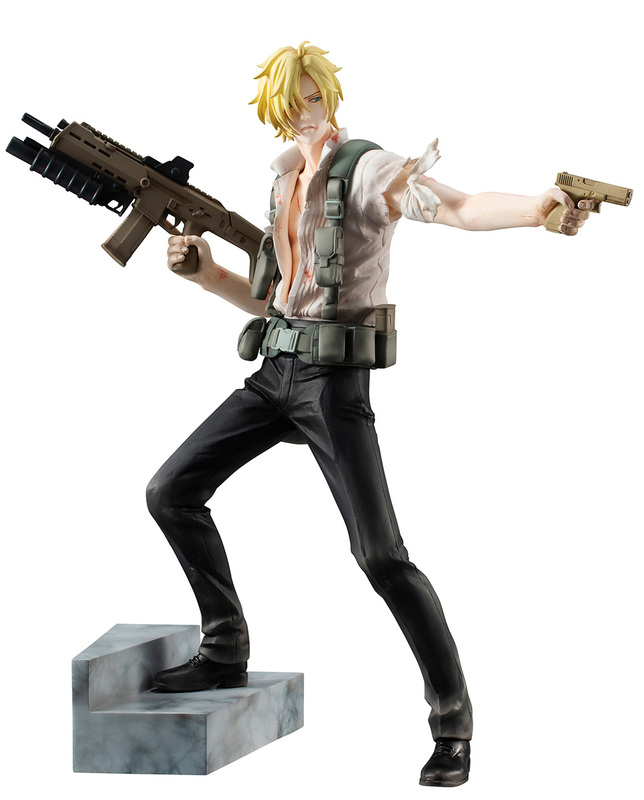 Every amount of detail is faithfully recreated from the immense expression upon his face to the body language he presents. 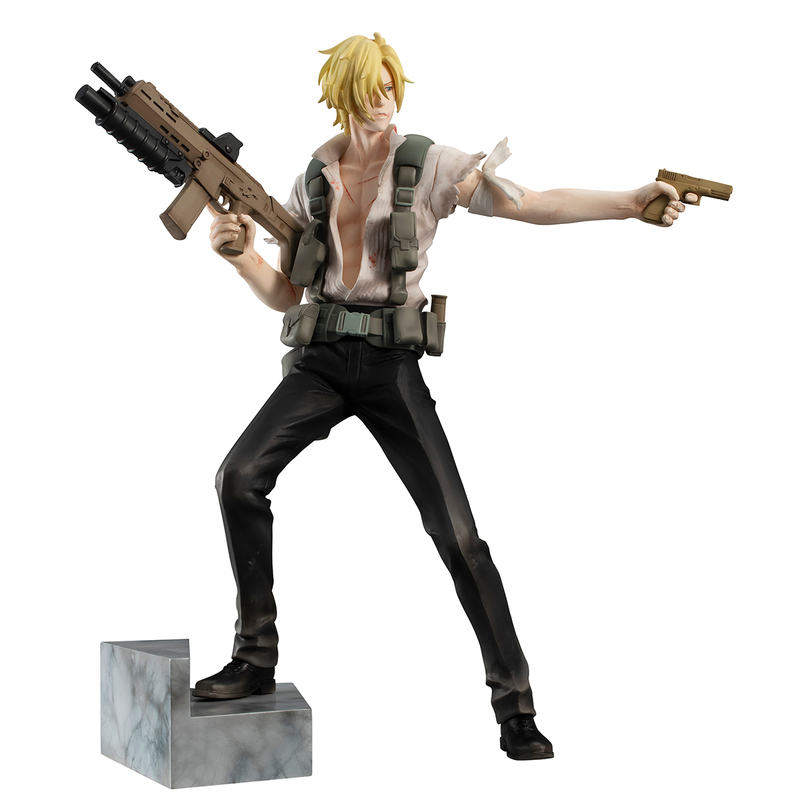 This one won't last long, order yours soon before this figure goes up in smoke!